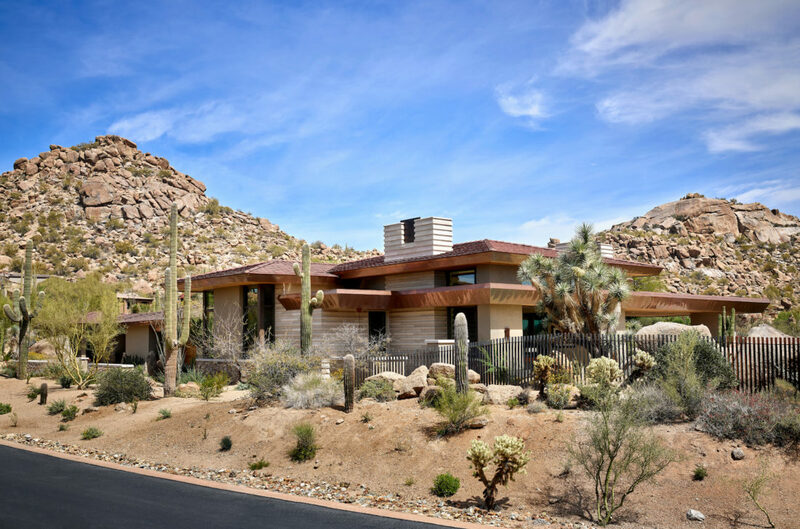 Located near the base of Scottsdale landmark Pinnacle Peak, the Desert Prairie is surrounded by distant peaks as well as boulder conservation easements. 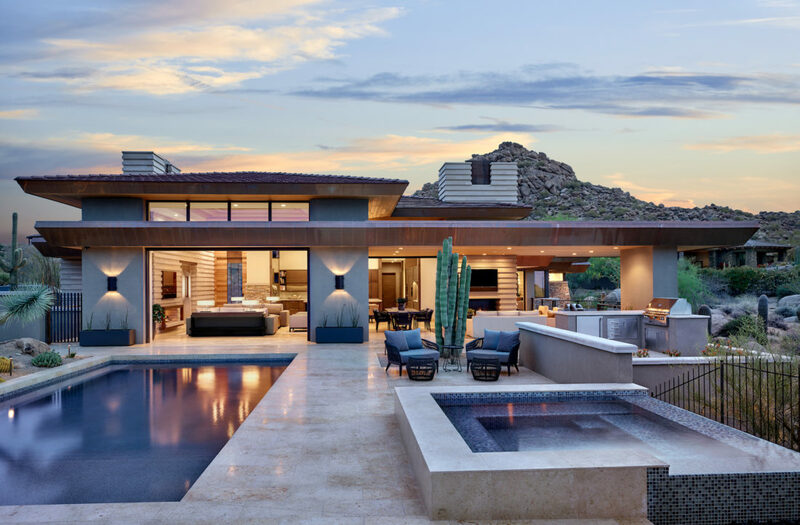 This 30,710 square foot site was unique in terrain and shape and was in close proximity to adjacent properties. 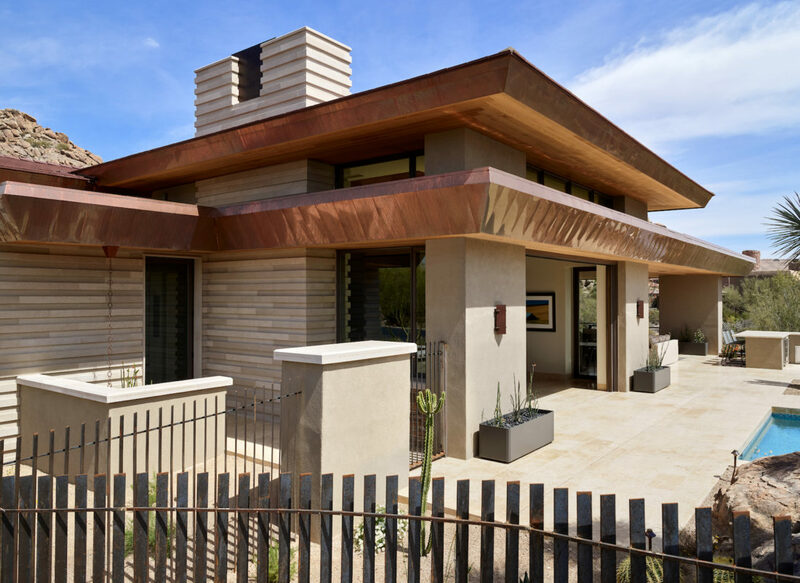 These unique challenges initiated a truly unique piece of architecture. 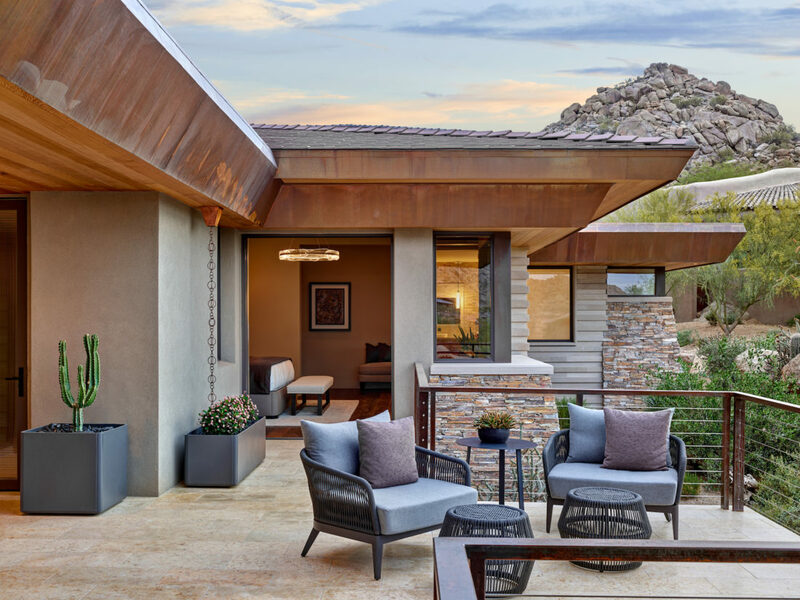 Planning of this residence was very complex as it weaved among the boulders. 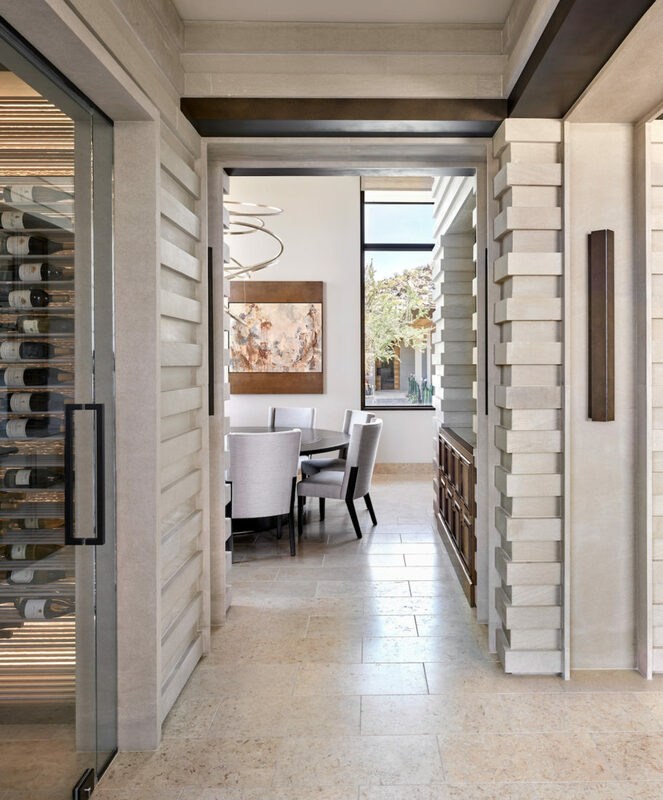 The owners were agnostic regarding style, yet wanted a warm palate with clean lines. 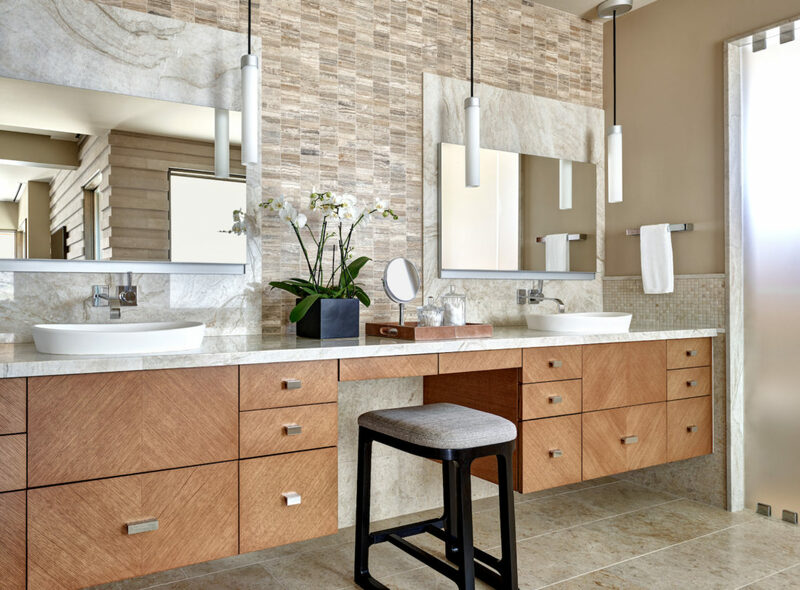 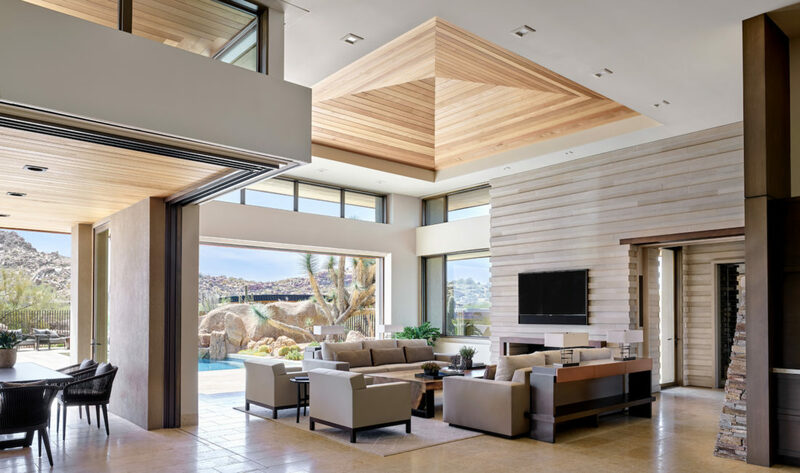 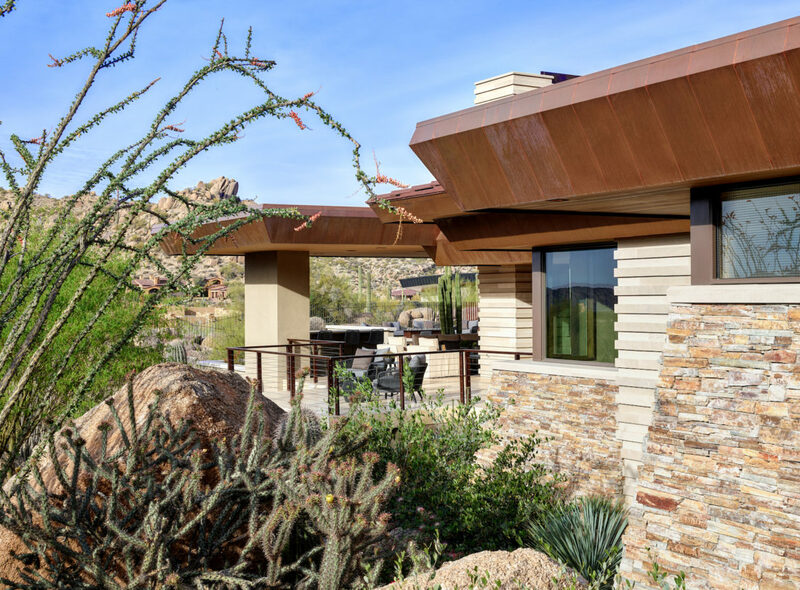 The arrival point of the design journey was a desert interpretation of a prairie-styled home. 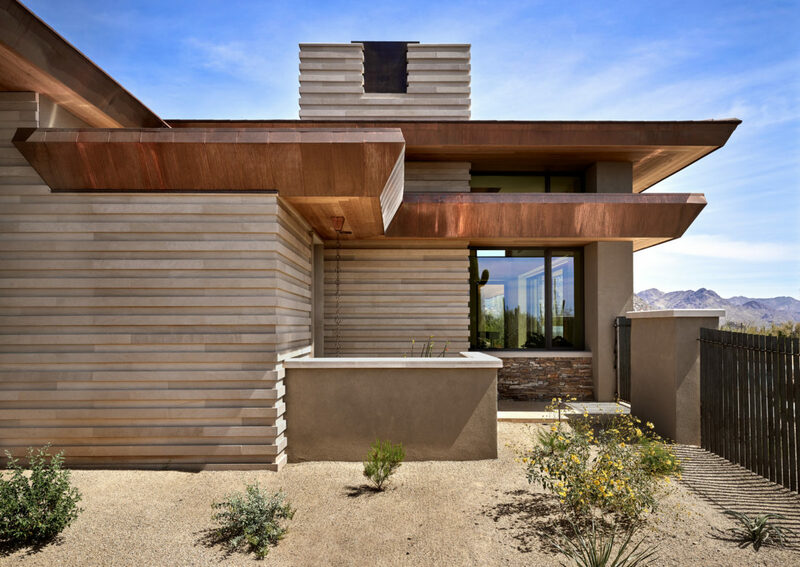 The materials meet the surrounding desert with great harmony. 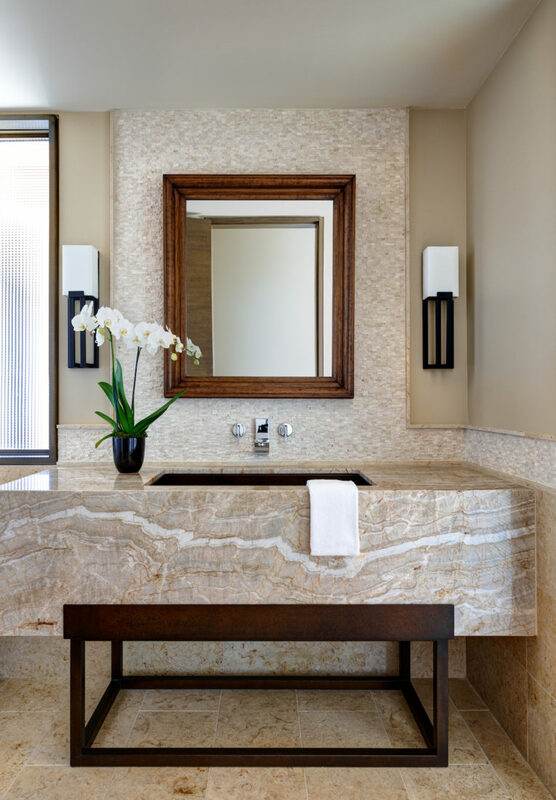 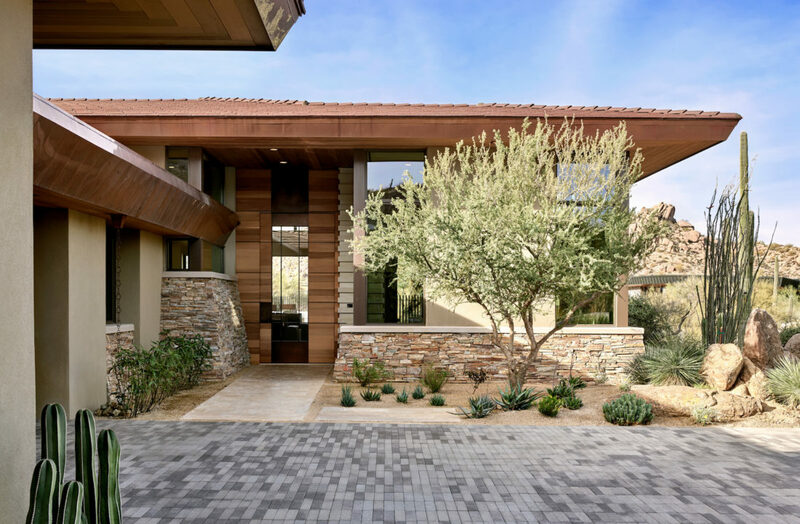 Copper, undulating limestone, and Madre Perla quartzite all blend into a low-slung and highly protected home. 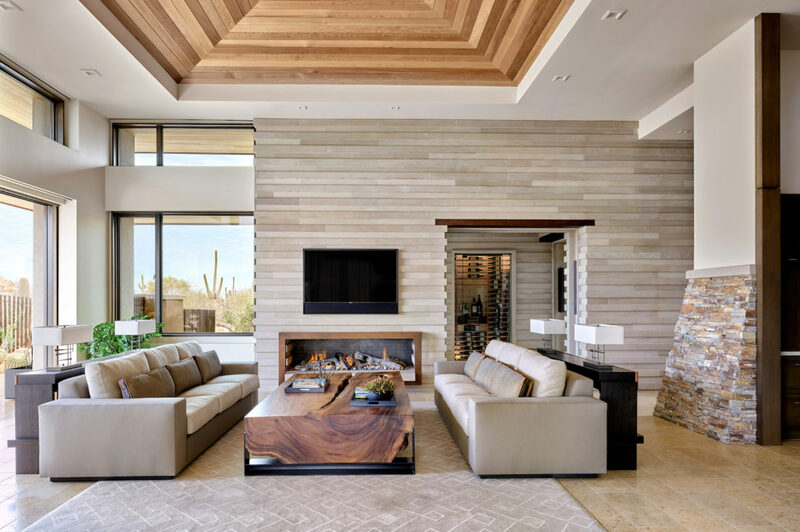 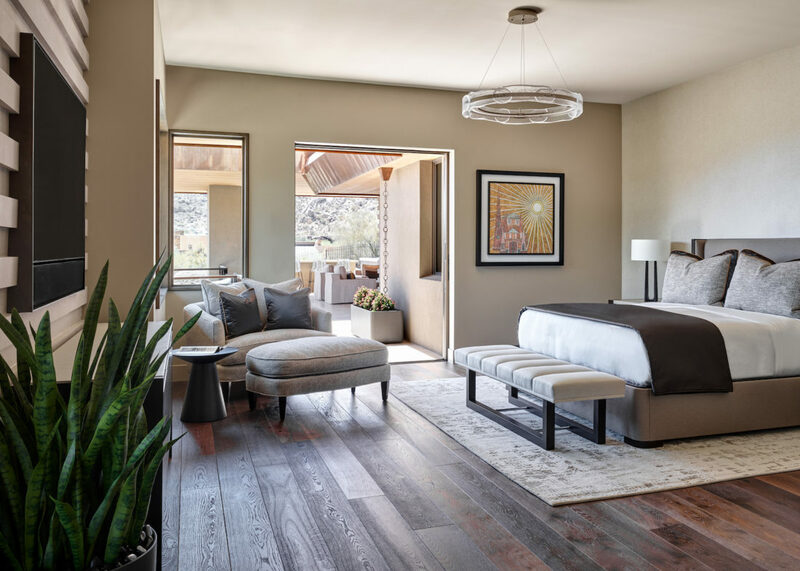 Located in Estancia Golf Club, the 5,325 square foot (conditioned) residence has been featured in Luxe Interiors + Design’s September/October 2018 issue. 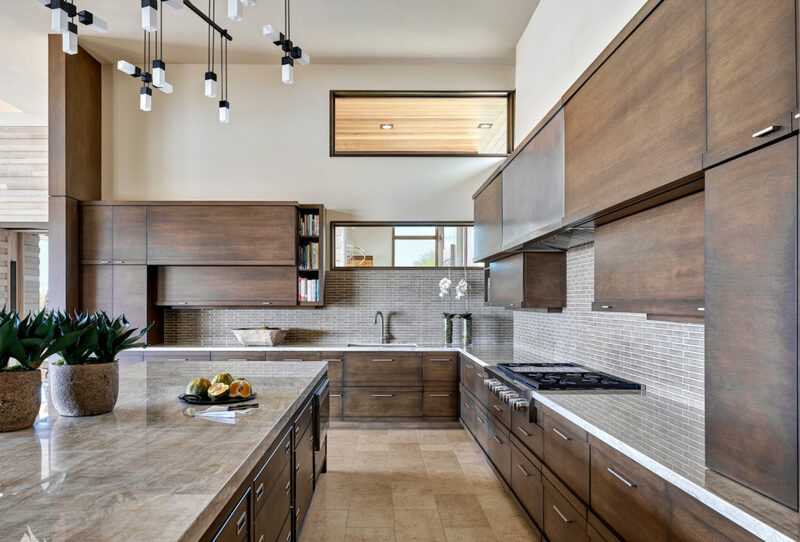 Additionally, the home has received numerous design awards. 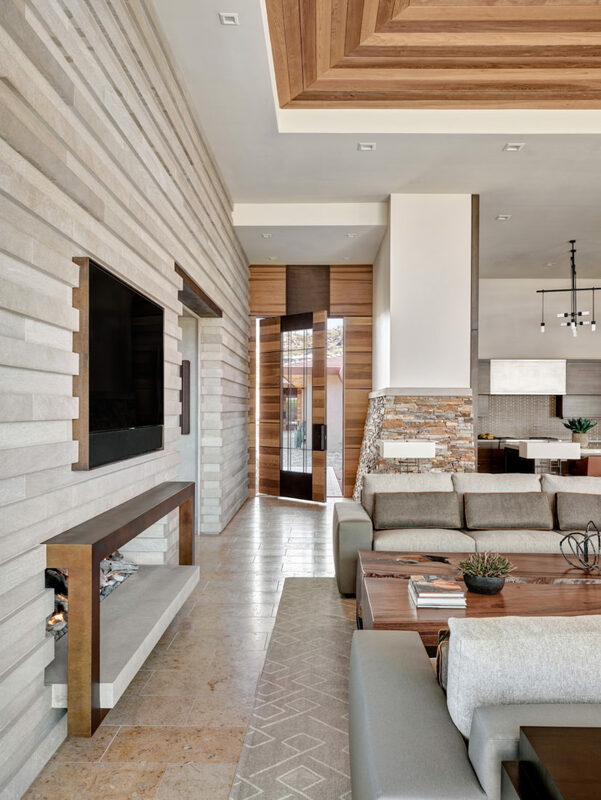 “Modern Prairie,” Luxe Interiors + Design, September/October 2018, by James Munn. 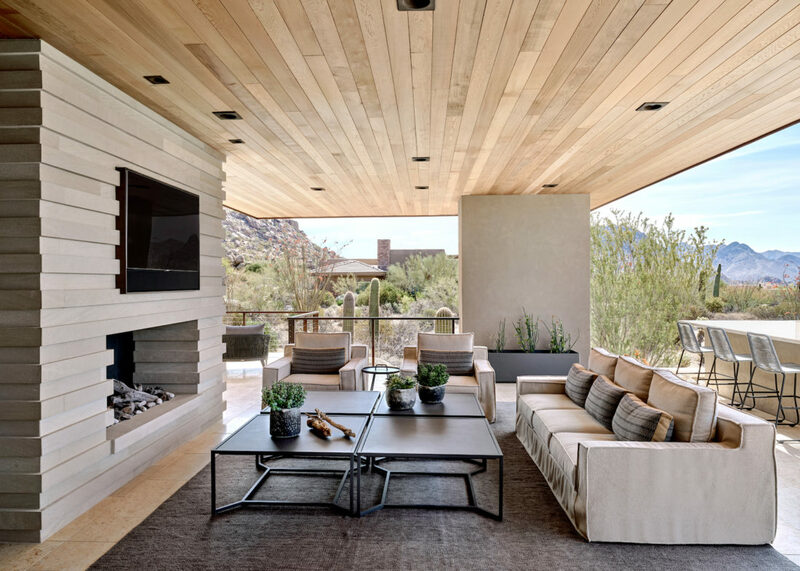 “A Home with a Wrightian Vibe Embraces the Outdoors,” Luxe Daily, by James Munn, September 11, 2018.